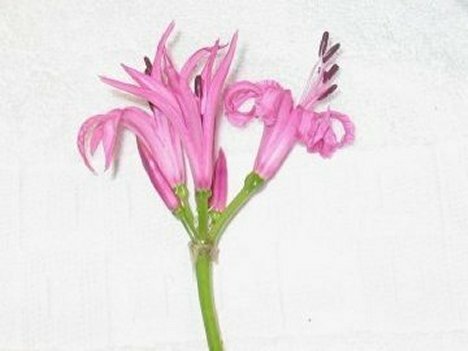 Nerine lilies are sometimes referred to as "Surprise Lilies". You often see them popping up in people's yards. 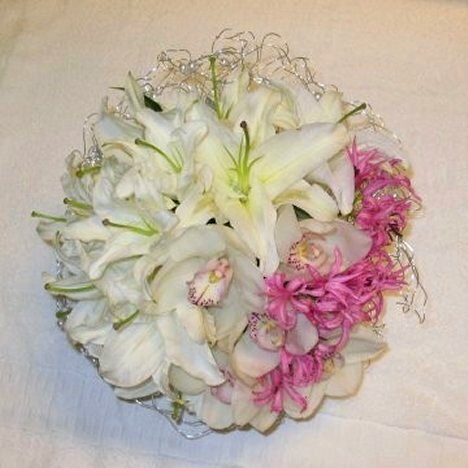 Tall and slender, these lilies have no leaves, just a smooth, light green stem with hot pink or white blooms. They are available year round for use in bouquets. 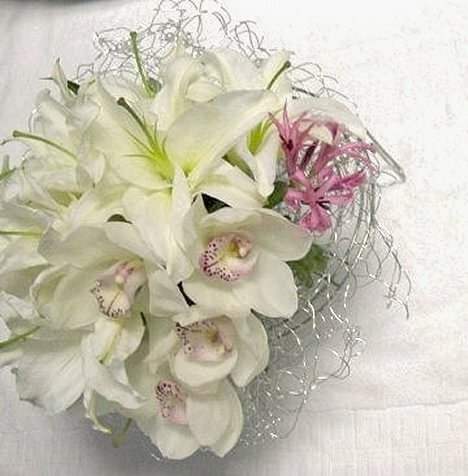 I've inserted the first Nerine lily into the right side of the bouquet, just above the white cymbidium orchids. 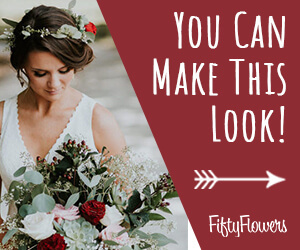 Continue massing these flowers tightly together, to cover up all the mechanics of the bridal bouquet. 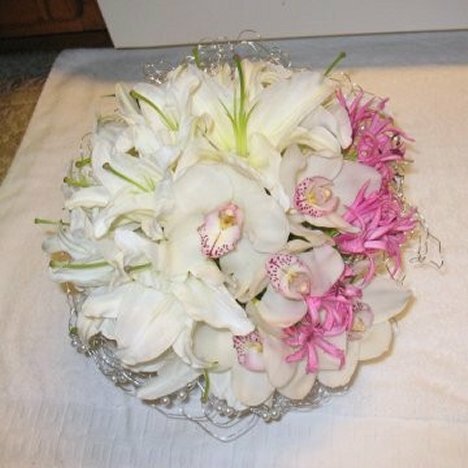 You can even overlap some of the other blooms in the bouquet, resting the Nerines lightly on top of the orchids. This gives a little depth and more visual interest to the design. 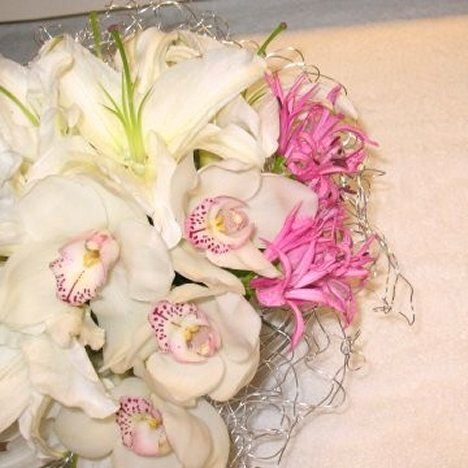 Although you may remove the pollen from the pink lilies if you choose, they do not present the same danger as the pollen on the Casa Blancas do. You should definitely remove all pollen from any Oriental or Asiatic lily.